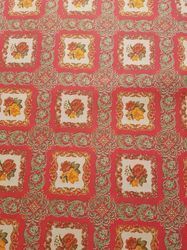 We are the leading supplier of Hand Block Printed Rugs. 100 % Cotton Stone Washed Carpet Rugs. 3' X 5'(91 X150 Cms) . 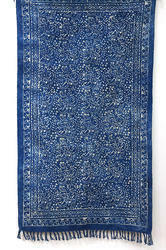 Handmade Indigo Hand Block Print Rug. Usage like Throw, Carpet, Rug, Runner. Handloom Rugs made with 100% Cotton. We have highly acknowledged organization in the domain and are engaged in offering high-quality Printed Rugs. We are engaged in offering our clients a superior quality range of Large Printed Rug. Beautiful printed carpet for home use and tent house. Jute Printed Rug is widely recommended by clients owing to its application specific design, robustness and consistent performance.